Timothy O'Brien, Cidni's father, was waiting for her upon her arrival at Doernbecher Children's Hospital in Portland. 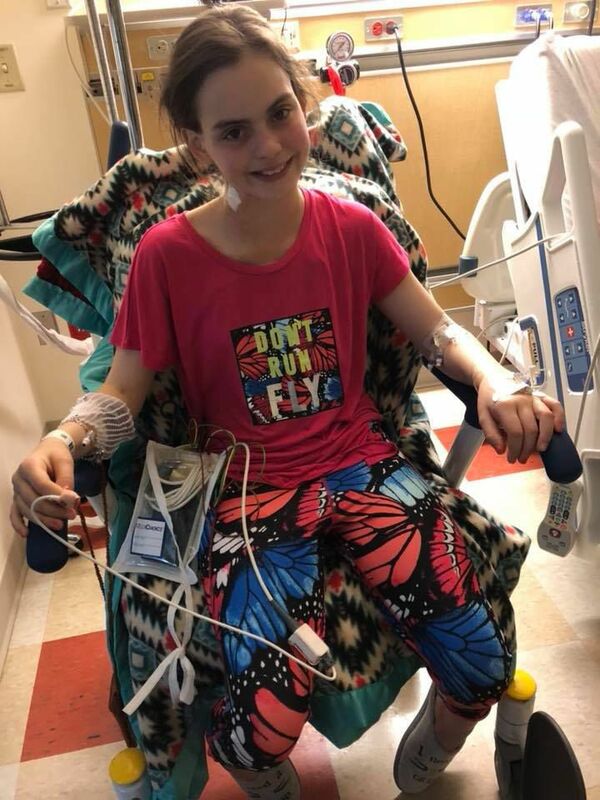 Cidni O'Brien, 12, is recovering well after suffering a cardiac arrest during a soccer game on April 21 in Lebanon. Cidni O'Brien, center, with her mother, Nikki Faulconer, left, and Morgan Hansen, who helped perform CPR after Cidni went into cardiac arrest. Tim and Nikki Faulconer with Cidni on the day Cidni was discharged from Doernbecher Children's Hospital. Cidni O'Brien, 12, doesn’t remember very much about the events of April 21. She knows it was a Saturday and that morning she drove around town with her mother Nikki Faulconer, step-father Tim Faulconer, and brothers Elijah, 14, and Lincoln, 5. But she doesn’t remember anything about the soccer game she played in later that day, even though she scored a goal for her squad, the Flaming Phoenix. While she doesn’t recall the events of that day, they changed her life, and the life of her family, in a dramatic way. Tim Faulconer was serving as a referee for that AYSO game at the youth soccer fields near Cheadle Lake Park, and he watched her score that game-tying goal. Just a few minutes later, he recalls, Cidni came up to him and said she wasn’t feeling well and was having a hard time breathing. He suggested that she go over to her sideline and check in with her coach. Cidni did just that and sat down on the grass next to Tameika Sapp, an assistant coach. Nikki Faulconer remembers her daughter sitting down and then rolling over on the ground. Nikki thought Cidni was just playing around. Sapp immediately called out for help and Nikki ran to her daughter’s side. Cidni was unresponsive, wasn’t breathing and was bleeding from her nose and mouth. Nikki is a nurse at Samaritan Lebanon Community Hospital which may have saved her daughter’s life. She immediately began cardiopulmonary resuscitation while someone on the sideline called 9-1-1. Nikki did one cycle of CPR and was then joined by Morgan Hansen, also a nurse, who took over the chest compressions while Nikki performed the rescue breathing. They continued performing CPR until the team arrived from the Lebanon Fire Department and relieved them. As these events first began to unfold, Tim couldn’t believe what he was seeing. “I was frozen out there,” he said. After a moment, he ran from the field and gathered their two sons who were watching the game. He remembers the feeling of time slowing down and having the sense that it was taking a long time for the emergency responders to arrive. “It seemed like forever,” Tim said. In reality, it took only 8 minutes. After assessing the situation, they were able to shock Cidni’s heart back into rhythm with a defibrillator. They also inserted a breathing tube and put an IV in her leg. With no prior warning, Cidni had gone into cardiac arrest. While she was performing CPR, Nikki had been focused on her task. Once she was relieved, her mind was freed to think about what was happening. Her thoughts, both as a nurse and as a mother, were not hopeful. The ambulance took Cidni to Samaritan Lebanon Community Hospital. The emergency staff there helped stabilize her, started her on medication and conducted some initial imaging. Within two hours, a helicopter arrived from OHSU Doernbecher Children’s Hospital. The PANDA (Pediatric and Neonatal Doernbecher Transport) team took Cidni to Portland, where she arrived in just minutes. Cidni’s father, Timothy O’Brien, was at the hospital waiting for her when she arrived. Elijah and Lincoln stayed with their grandfather while Tim and Nikki drove up to Portland. Tim didn’t even have time to change out of his soccer cleats and into regular shoes. The nursing staff at Doernbecher ultimately found him a pair of Crocs to wear. Nikki and Tim were still in a state of shock and confusion over what had occurred. Nikki thought Cidni might have experienced a seizure. It wasn’t until the next day that the doctors at Doernbecher were able to confirm that the incident was a cardiac arrest. More tests ultimately revealed the cause: Cidni had been born with a rare heart defect in which her left coronary artery was attached to her heart in the wrong location. Typically, the two coronary arteries are located on opposite sides of the heart. In some cases, however, both arteries originate side by side. The technical term for this is anomalous aortic origin of a coronary artery (AAOCA). In Cidni’s case, her left coronary artery was located next to her right coronary artery. This forced the left artery to make a hard turn, creating a kink, and then travel through part of her heart, as if it were a tunnel. The result is that Cidni’s capacity to pump blood through that artery was limited. After allowing Cidni several days to recuperate, she underwent open-heart surgery on April 30. Surgeons performed a procedure known as unroofing. This relieves the constriction around the artery and allows it to operate at its normal capacity. While Cidni doesn’t remember the cardiac arrest or the day after, she does remember the staff at Doernbecher and the wonderful therapy dogs. Cidni is also thankful for the help she received from Kamryn McIntosh, who was then a freshman track and field star at Clemson University. McIntosh was born with the same heart defect as Cidni, although in her case it is the right coronary artery which is misplaced. McIntosh underwent the corrective surgery and was able to continue her sprinting career. McIntosh was fortunate, however, in that she was able to discover the problem before suffering a cardiac arrest. “This is the second-leading cause of death in athletes,” Nikki said. McIntosh has become a well-known advocate for this condition and spoke to Cidni about what she was going through. McIntosh helped give her confidence about the surgery and recovery process. During Cidni’s 12-day stay at Doernbecher, Nikki never left the hospital. “I was always watching the monitors,” Nikki said. Cidni’s surgery was on April 30 and she was up and walking the very next day. She has amazed her family with the swiftness of her recovery. “She has an amazing amount of support, family and friends,” Tim said. After the procedure, Cidni realized that how she felt before wasn’t really normal. “I can breathe deeper now,” she said. 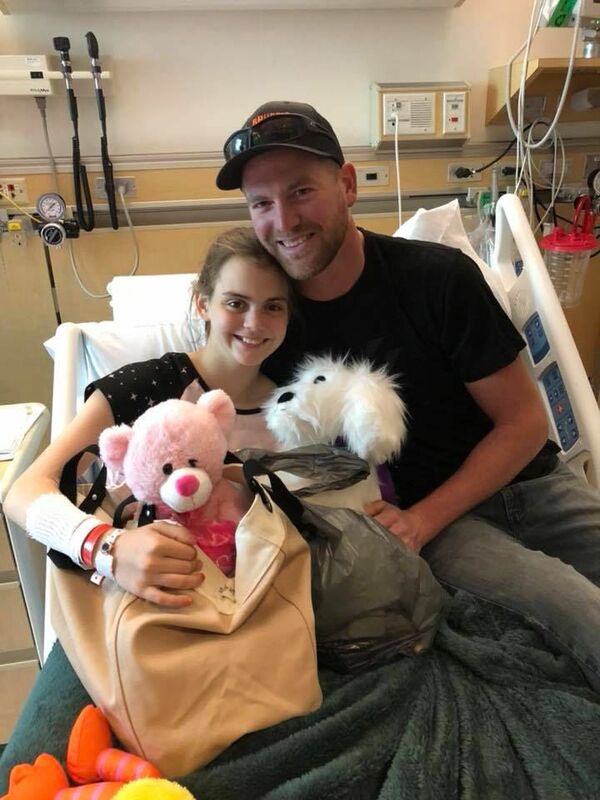 Later this month she will have another appointment at Doernbecher and will learn whether or not she will be able to return to the soccer field this fall. Even if she doesn’t, Cidni is excited about a potential consolation prize. “Now I’m going to get a horse, so it’s all good,” Cidni said. Looking back at this series of events, Nikki and Tim are extremely thankful. Everyone involved from the parents on the sideline, to the emergency responders, to the staff at the Lebanon emergency room and the doctors and nurses at Doernbecher played a role in saving Cidni’s life. “Everything went as perfectly as it could go,” Nikki said. Cidni must have access to an automated external defibrillator (AED) at all times and the Lebanon Fire Community Assistance and Initial Relief Service (LFCAIRS) provided the family with one of these units. The Faulconers would like to see some improvements made to help families which undergo similar events in the future. “We would really like AYSO to put one (AED) at the soccer fields,” Nikki said. And Tim thinks coaches and referees should receive more first-aid and CPR training.